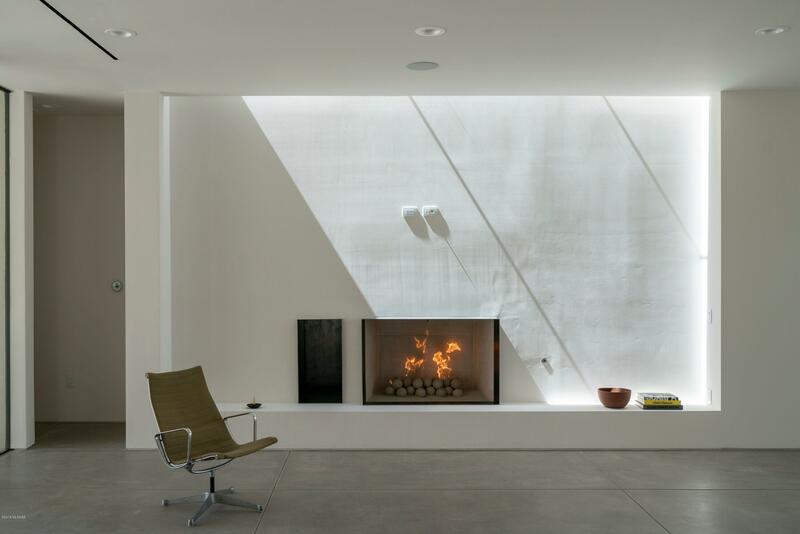 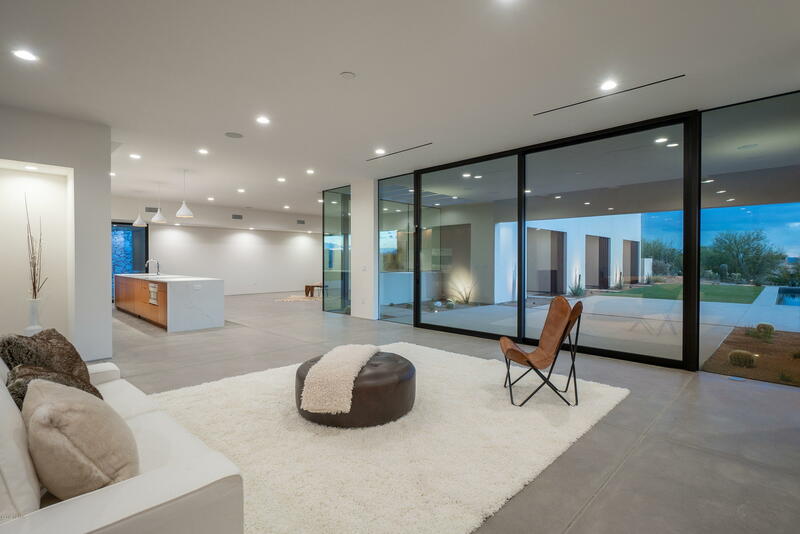 Modern, Luxury and Elegance Defined. 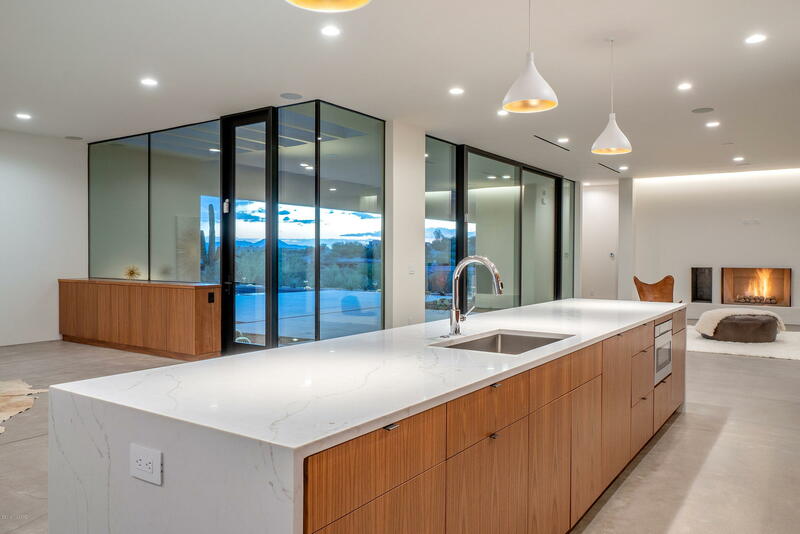 Nestled at the end of a quiet cul-de-sac and situated on an elevated lot, this ultra-luxury residence is an expression of modernist lines, with walls of frameless glass, thoughtful proportions, and dimensional massing of space. 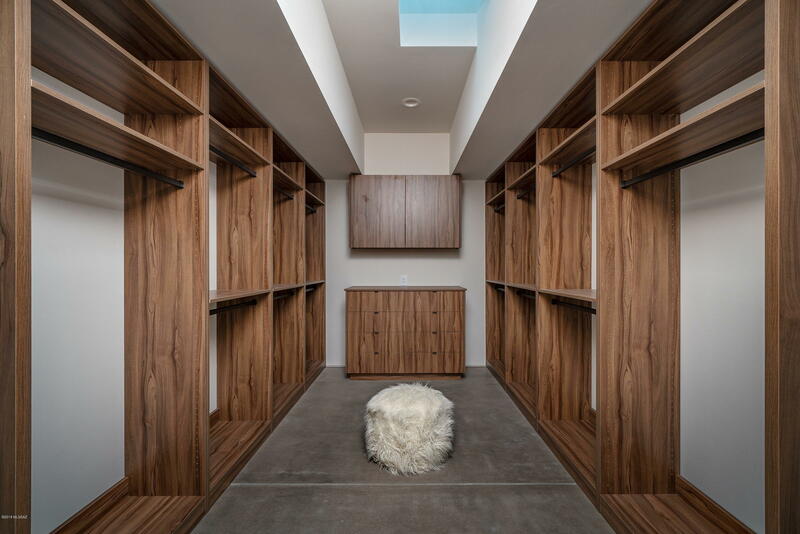 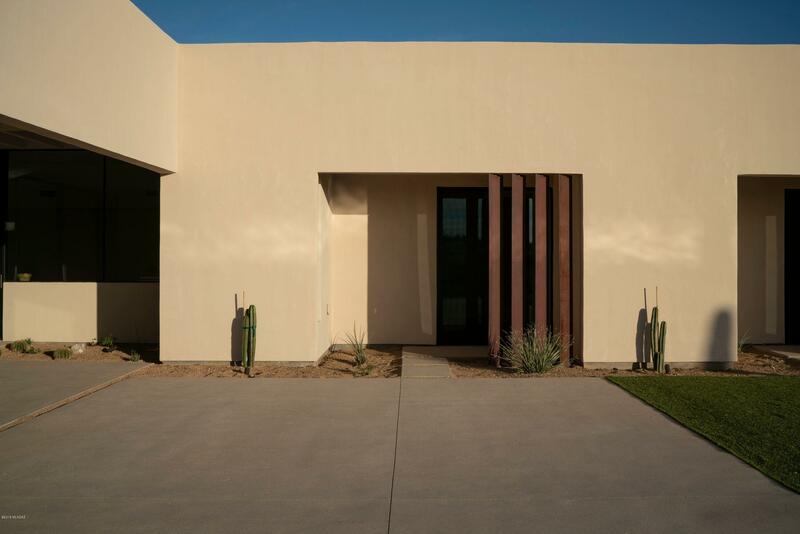 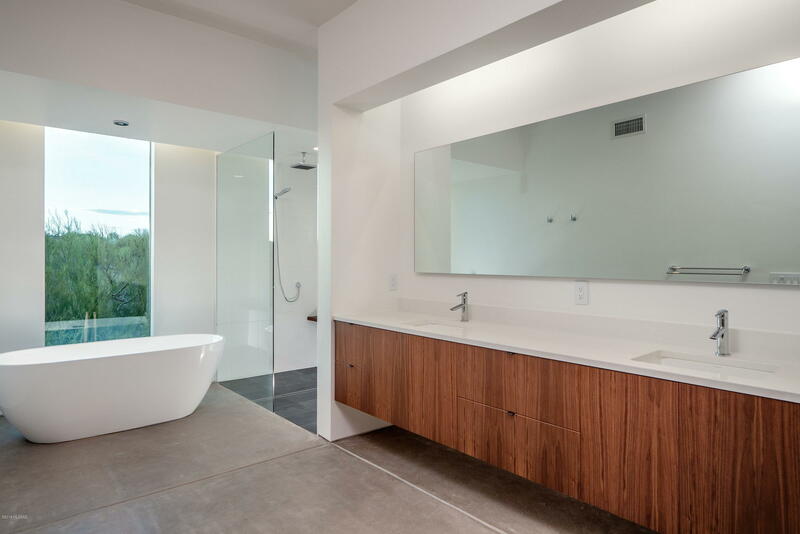 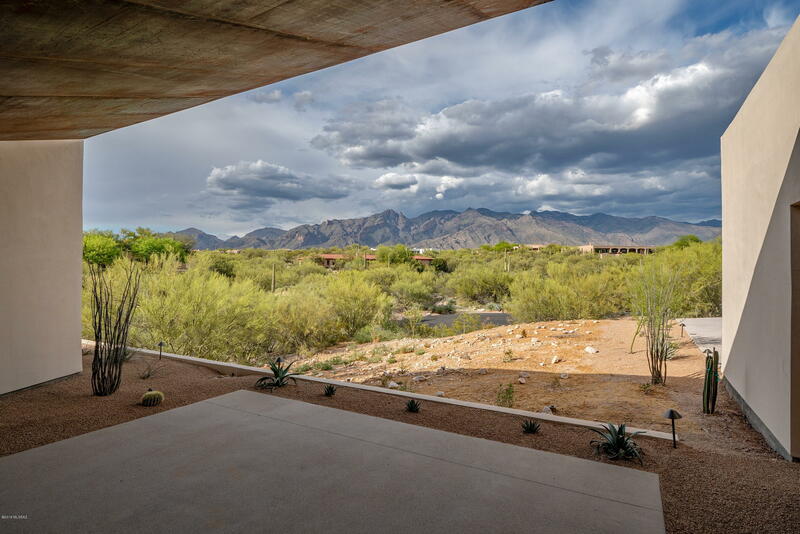 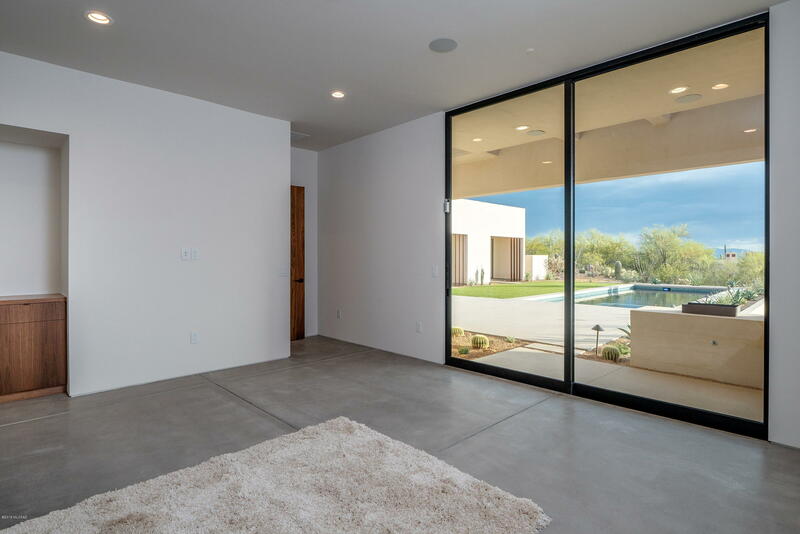 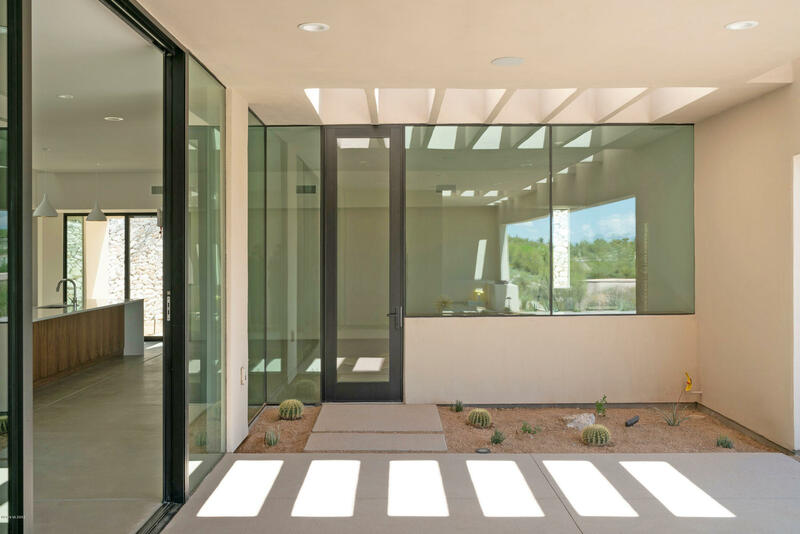 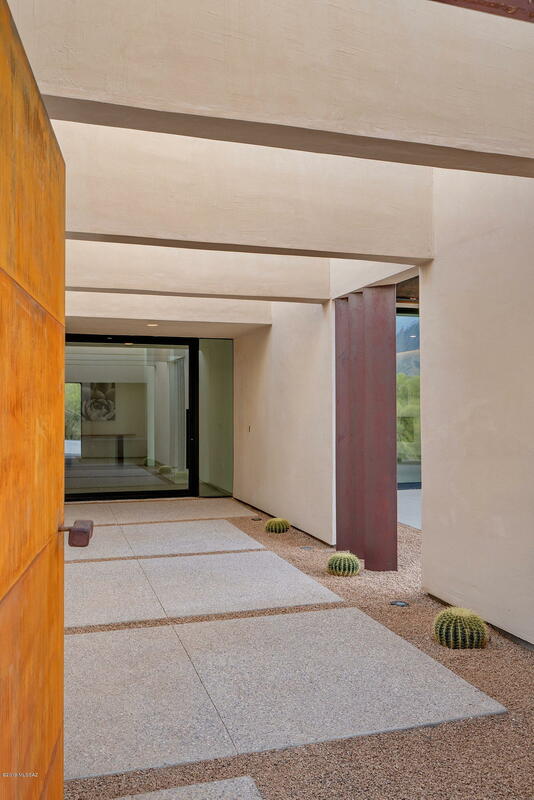 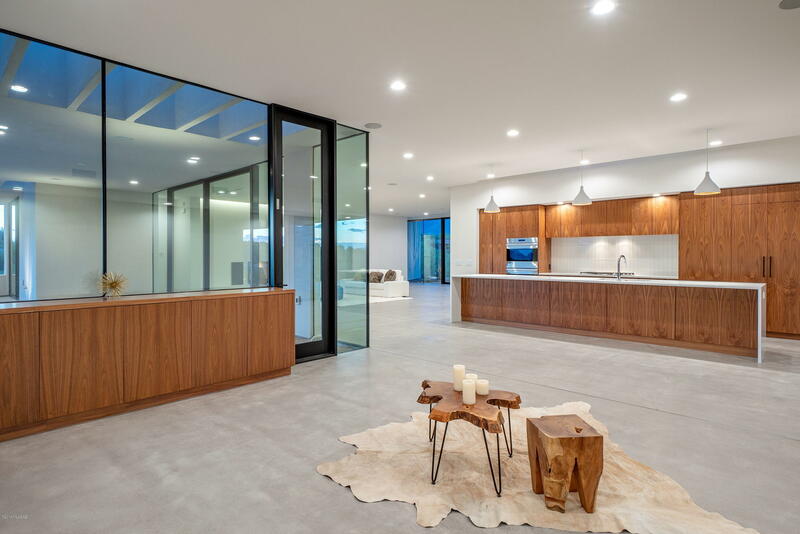 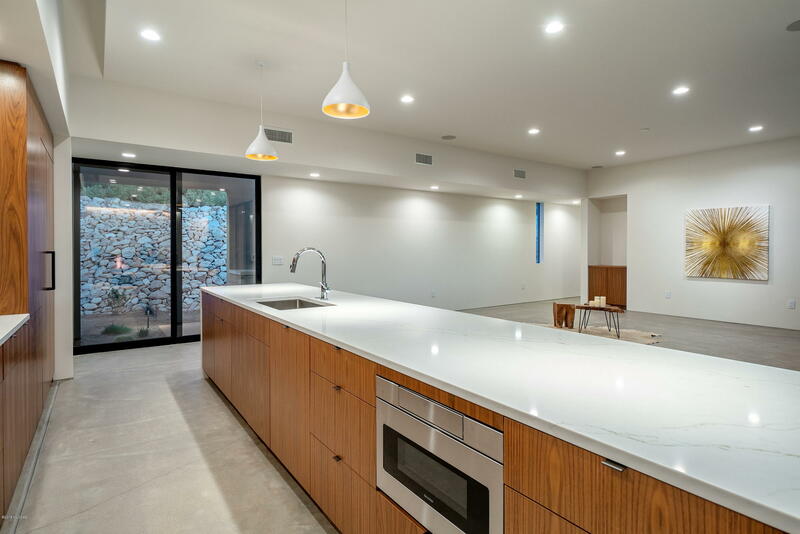 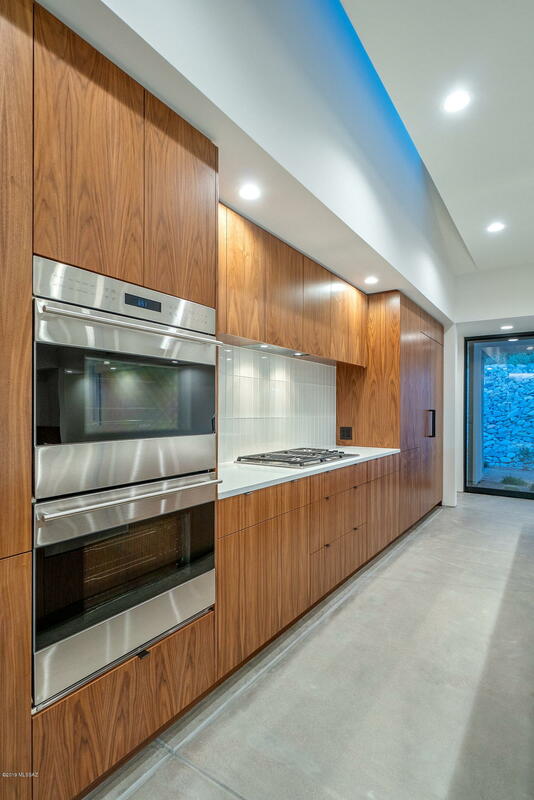 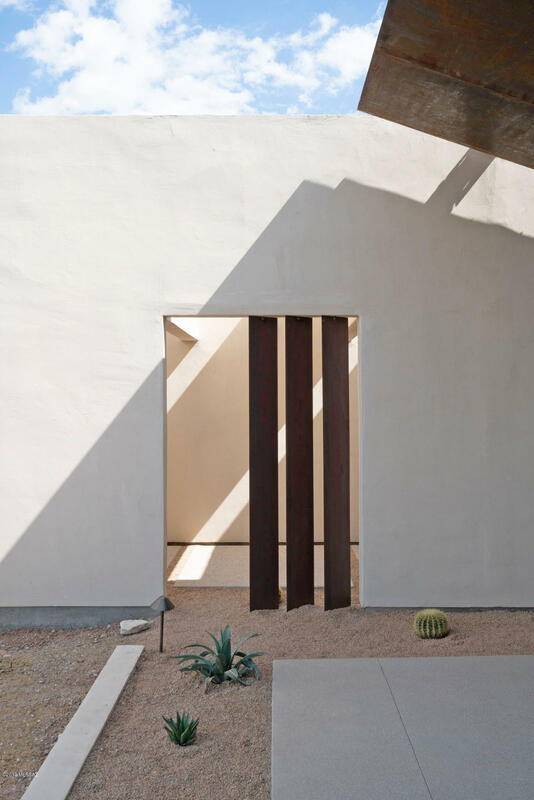 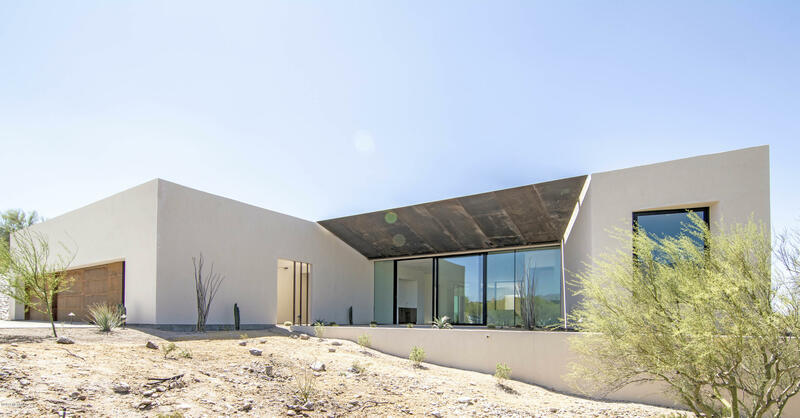 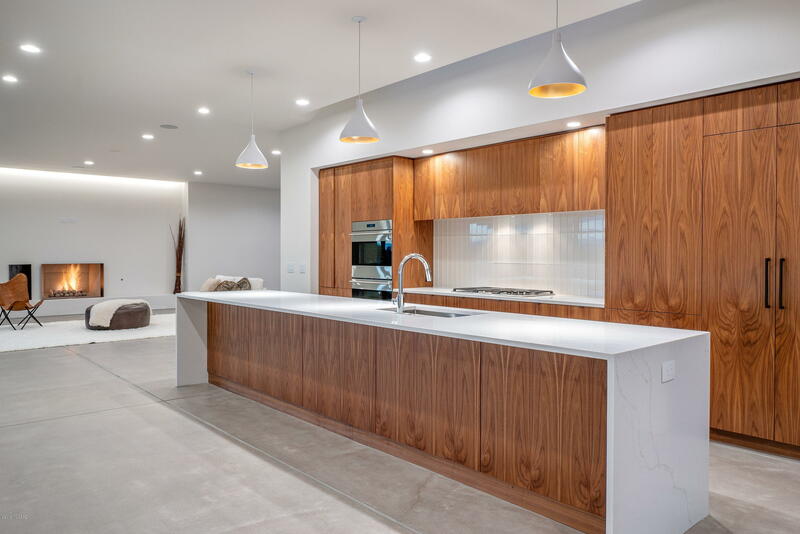 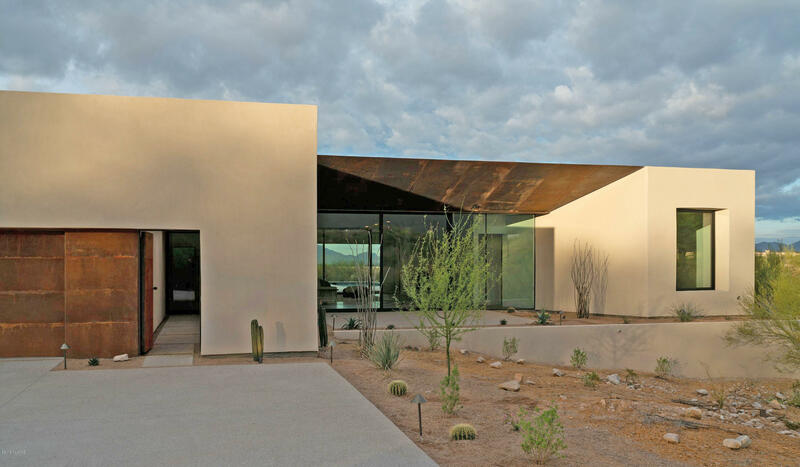 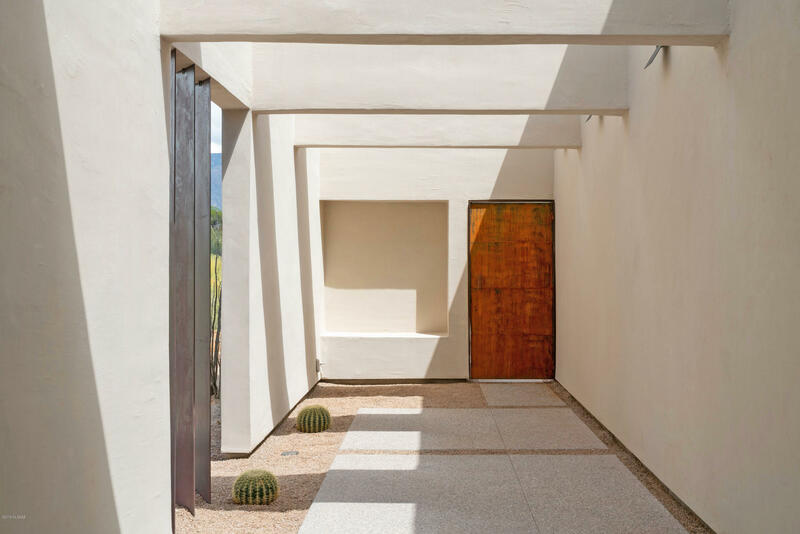 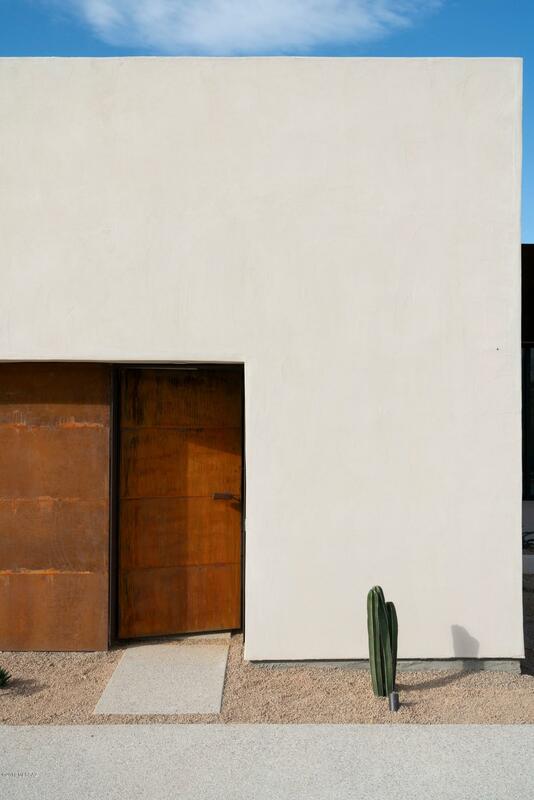 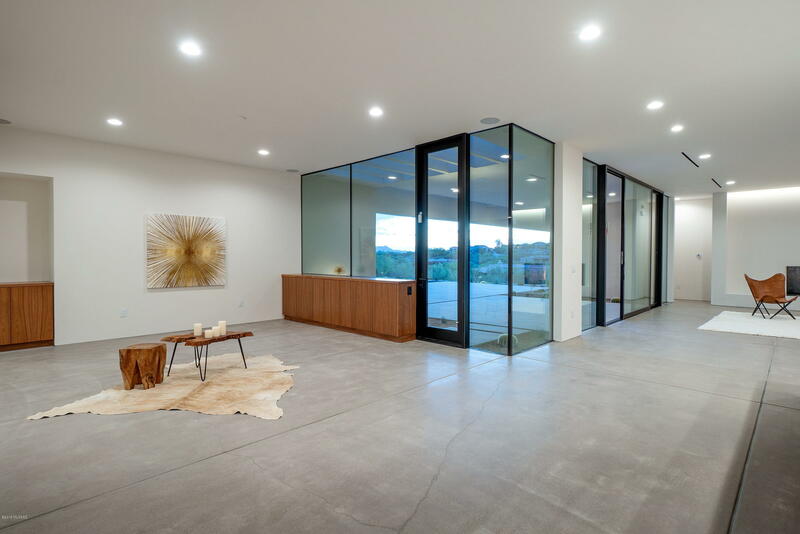 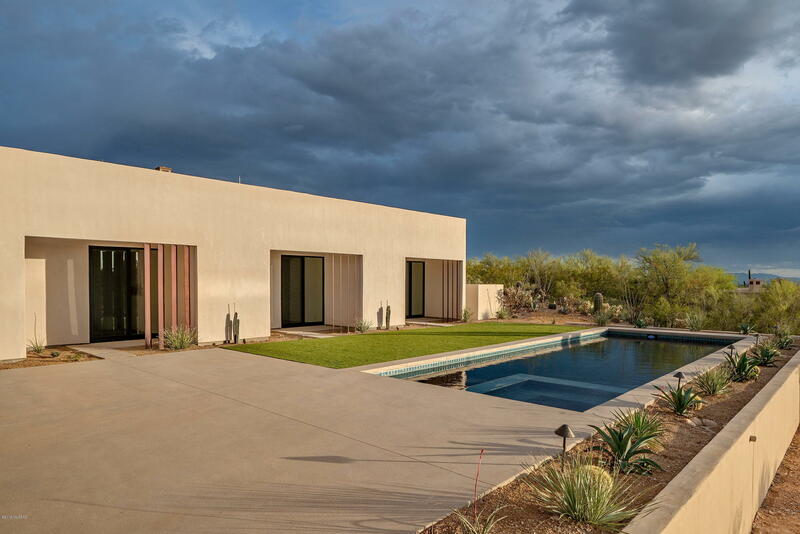 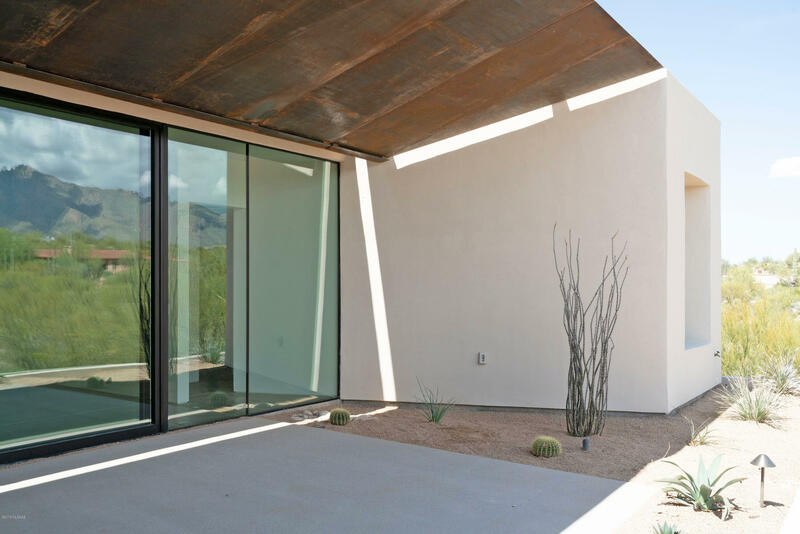 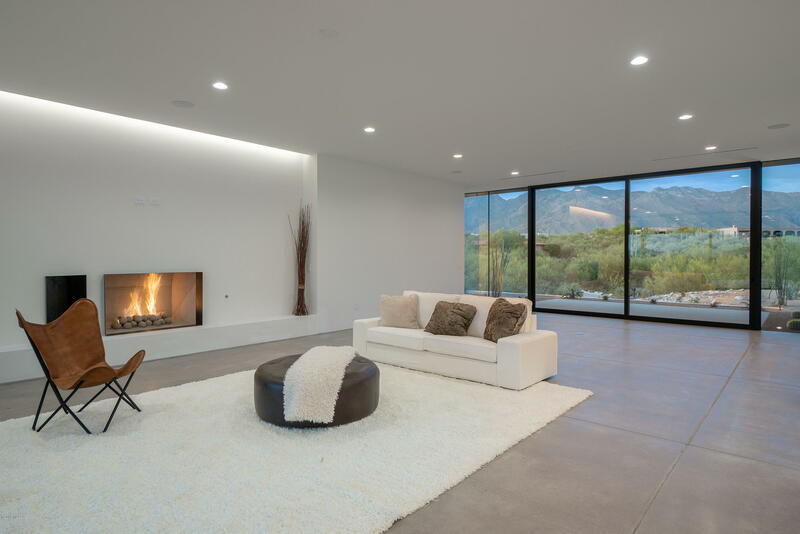 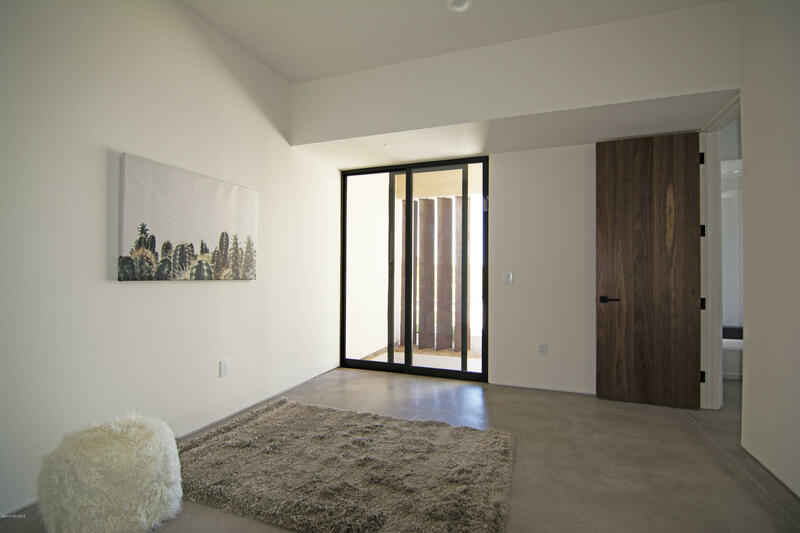 Enter beyond the home's bold, glass pivot door, into a light-filled and resplendent floor plan, replete with polished concrete floors, smooth finished white plastered walls, and exquisite walnut cabinetry and doors, all providing a visual and tactile experience. 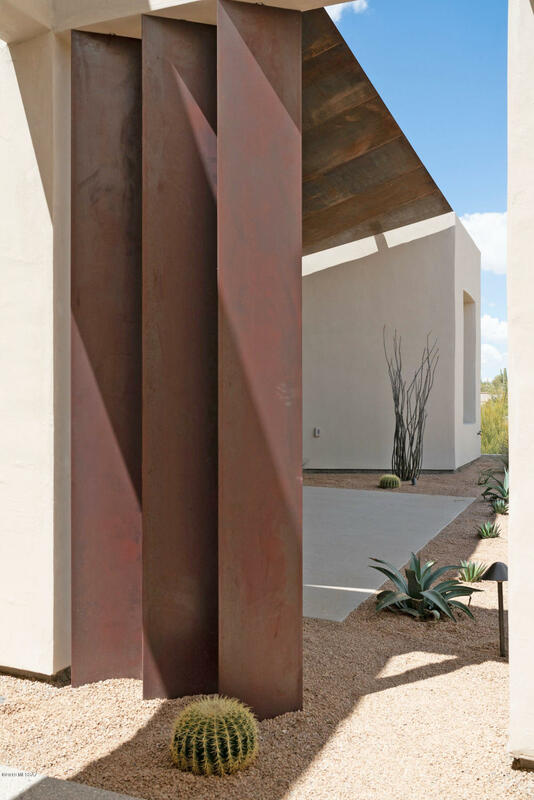 Directions: South on Hacienda Del Sol from Sunrise, East on Entrada Del Sol (through guard gate), East on Circulo Sobrio, South on Camino Sumo until it becomes Via de la Granja, West on Placita Lindura to address. 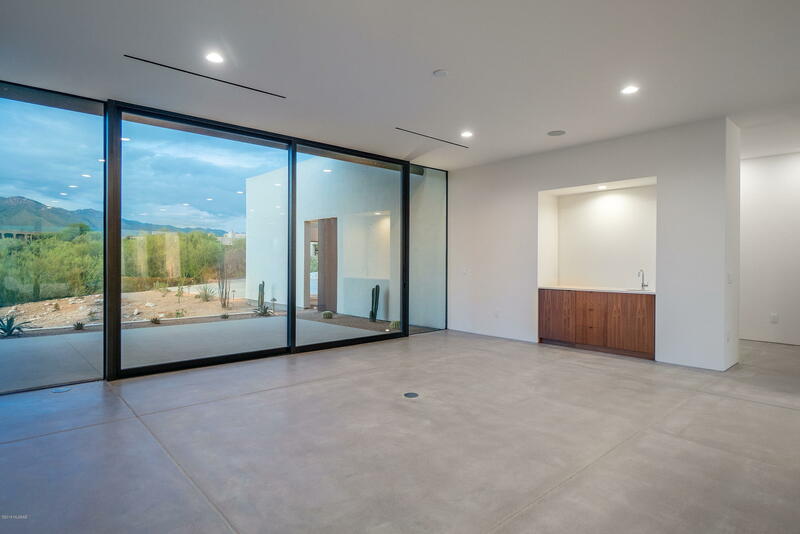 The expansive transitional spaces are rich in mobility, with the capacity to enjoy and entertain being effortless, blurring the lines between indoor and out spaces, while bringing the awe-inspiring city and mountain views to the forefront of the experience. 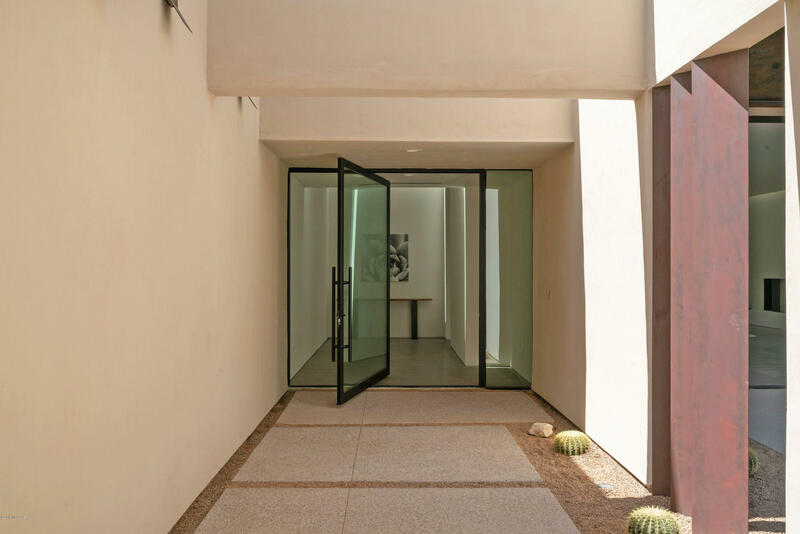 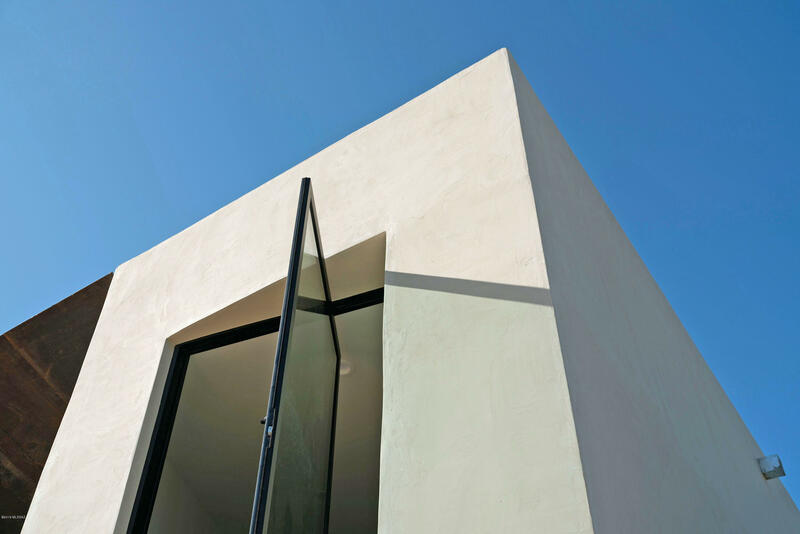 A delicate balance of intimate and public spaces foster a dynamic living environment, with 4 en-suite bedrooms that are generous and bright, all discreetly opening onto the rear courtyard, and a private office (or 5th bedroom) with a walk-in closet and bath. 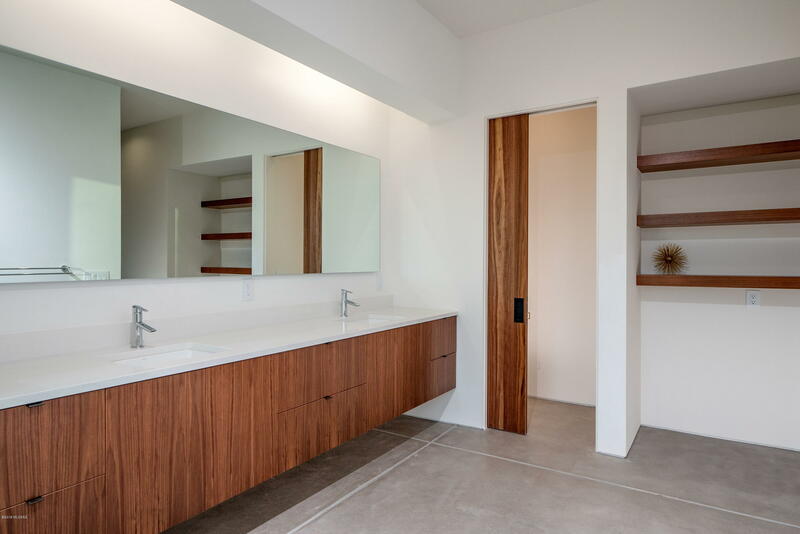 The master suite is sequestered on its own wing, offering a combination of luxury treatments, his/hers walk-in closets, and city light views. 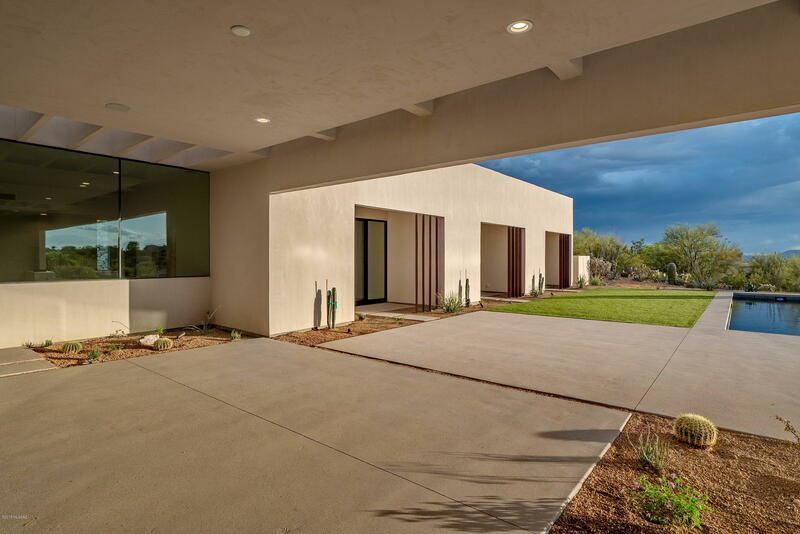 This vernacular accentuates the indoor and outdoor lifestyle, with expansive roof overhangs, looking out over the private backyard that has been masterfully designed for entertaining. 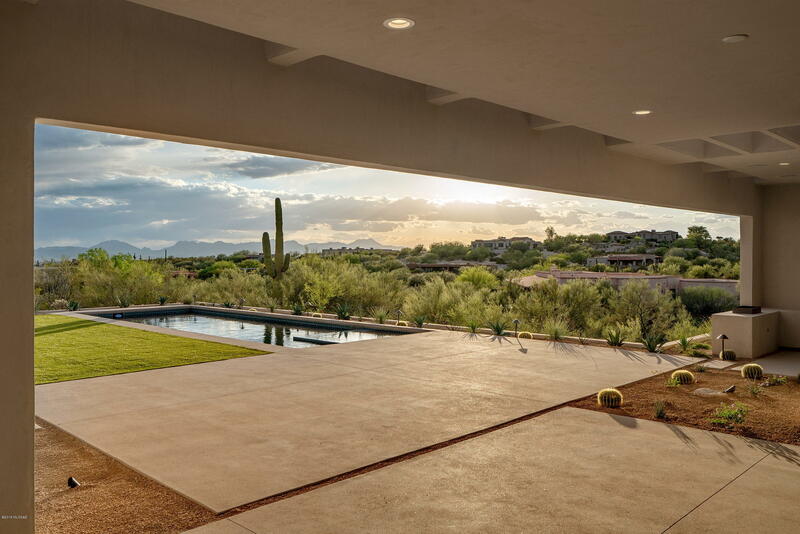 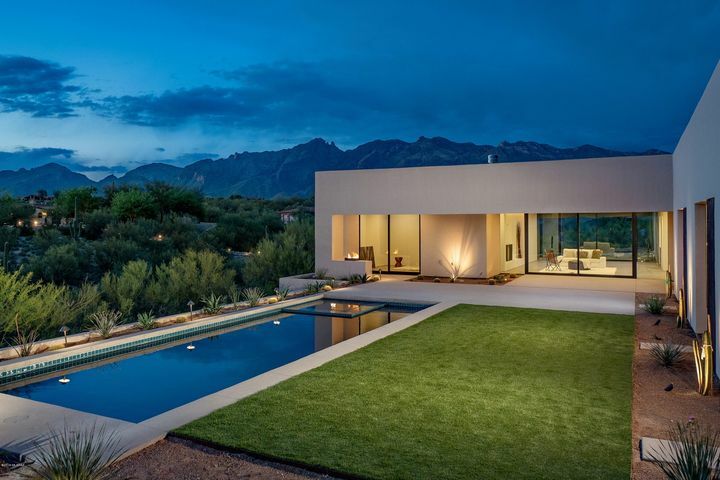 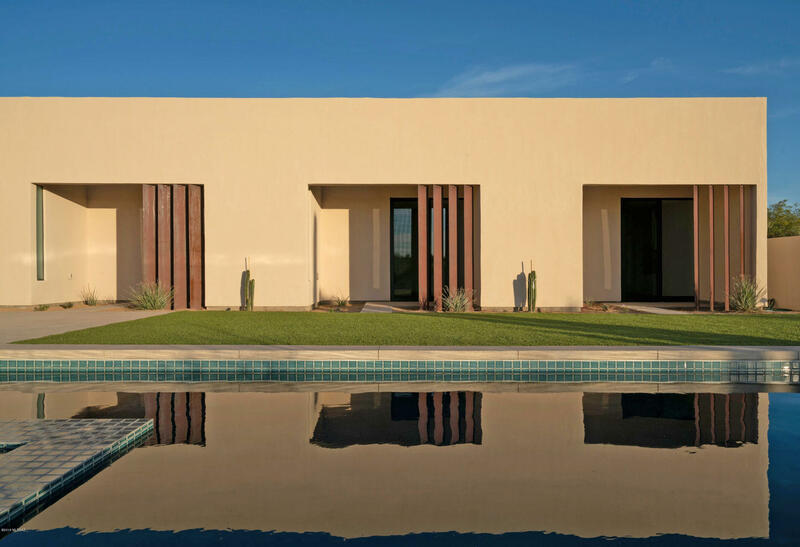 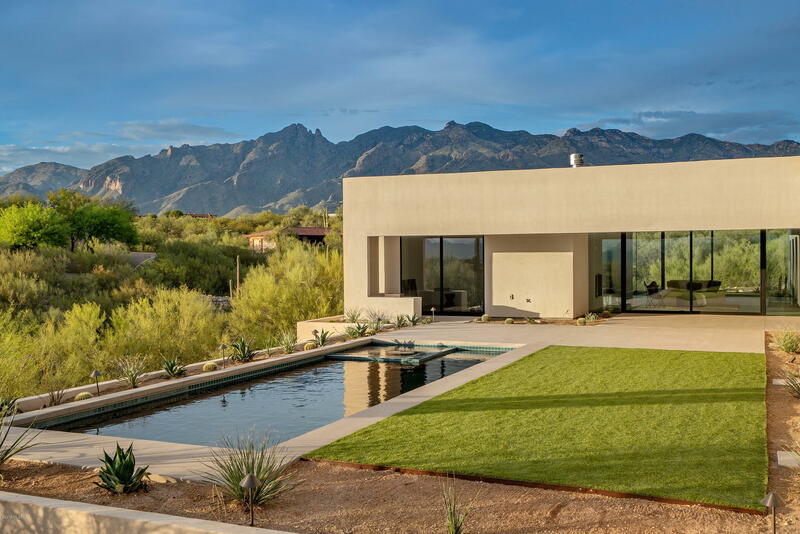 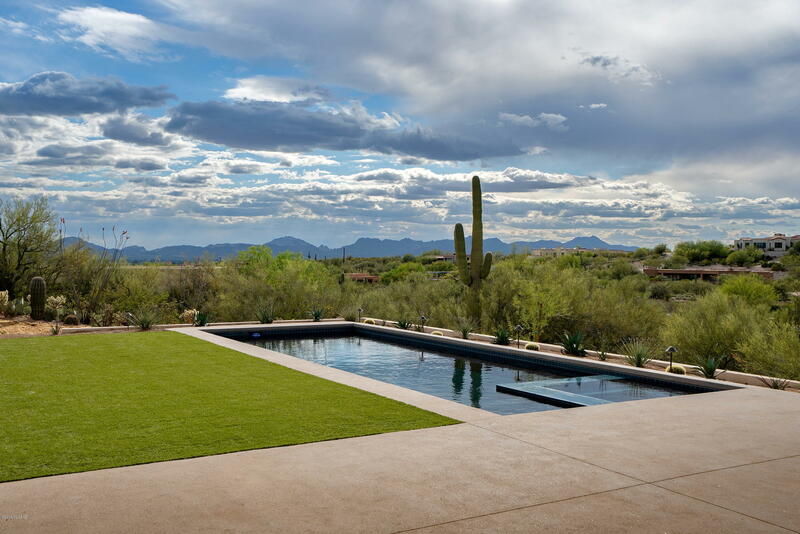 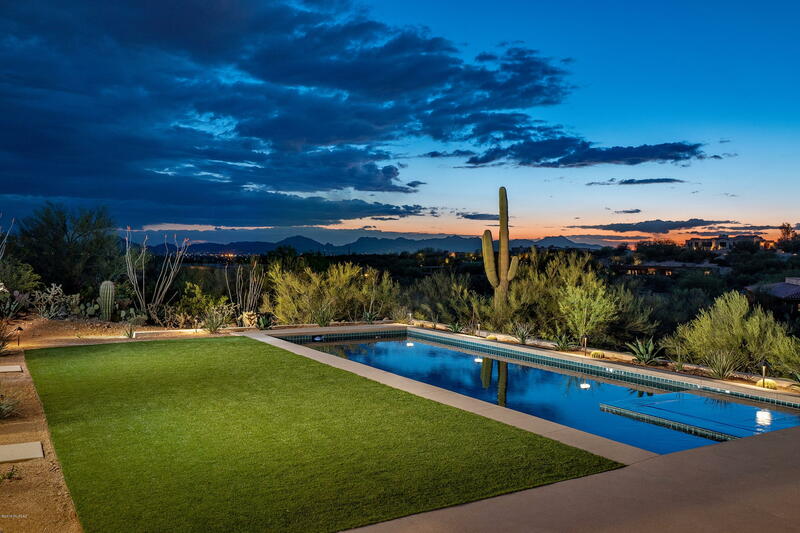 An integrated pool and spa appear to spill out over commanding views...all coming together to curate a lifestyle of distinct pedigree, in an unrivaled setting.